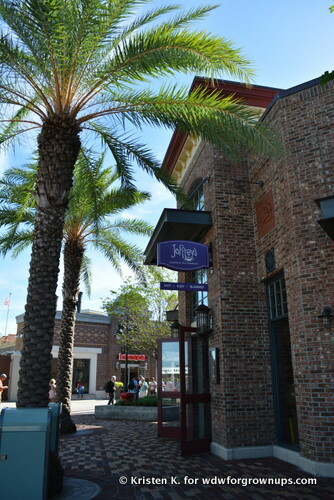 Joffery's is still located on its prime corner on The Landing directly across from The Boathouse. A new sign heralds the change from the former focus, now reading Joffery's Coffee & Tea Company. The interior space is still bright and open. 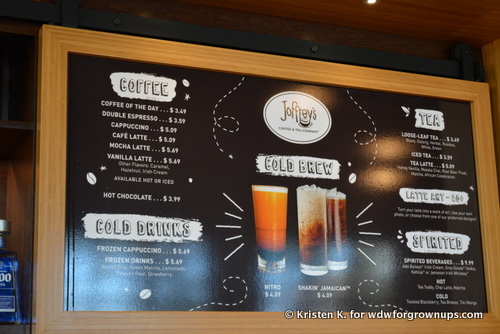 Instead of giving the shop a redesign, guests will find the tea containers now share their shelf space with bags of coffee and bottles of liquor. 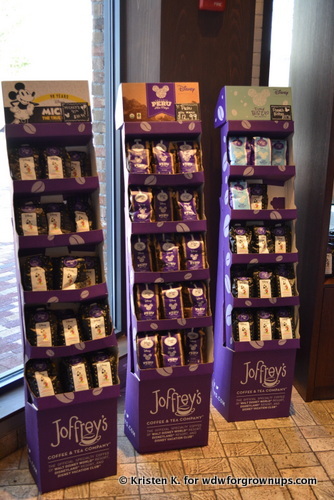 The merchandise shelves are packed with bags of the delicious coffee varieties that Joffery's creates especially for Disney. 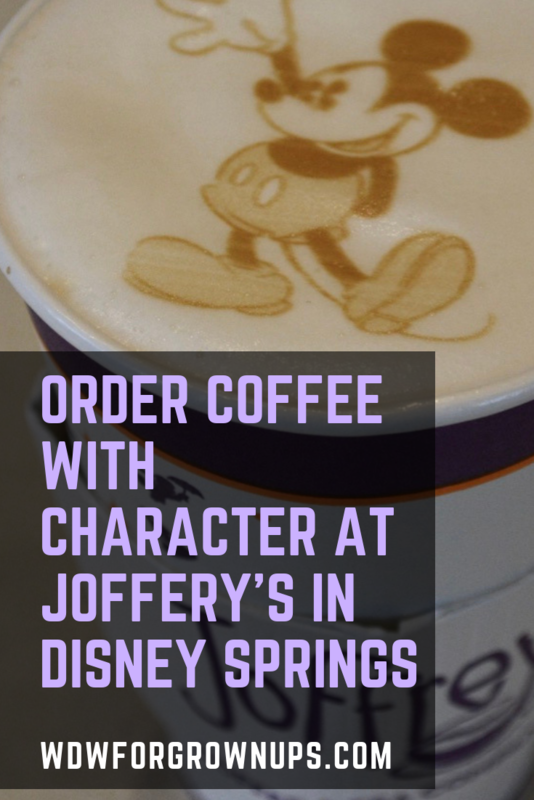 Joffery's Coffee & Tea Company offers a variety of brewed coffee, espresso drinks, nitro coffee, cold brew, frozen coffee, spiked coffee, and loose leaf tea. The full menu offers a little something for everyone to find a drink that they'll enjoy. Friendly baristas hand craft each drink especially for you. 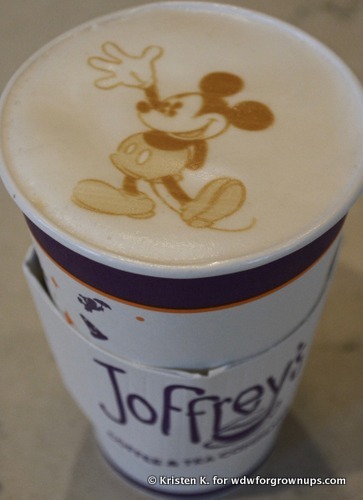 I don't get very fancy with my coffee, but I was excited to find that this location has a fun little machine that will etch some of our favorite Disney characters right on top of your lushly foamed latte. 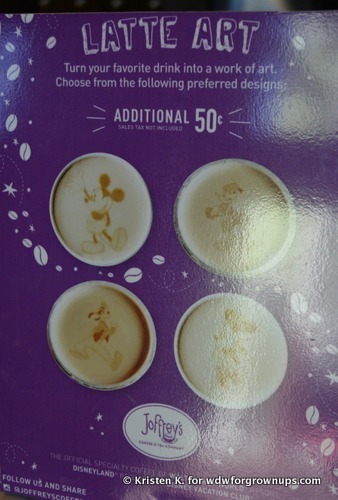 For a small up-charge you can get your latte with a pictures of Mickey Mouse, Minnie Mouse, Goofy, or Donald Duck on the top. I think everything tastes better when its Mickey shaped, so of course that's the way I ordered. 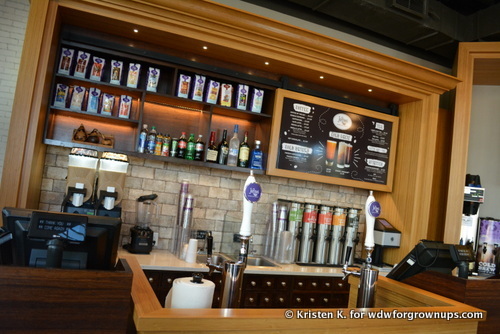 This little spot is the place to shop if you're looking to take home the taste of Walt Disney World for your morning cup. 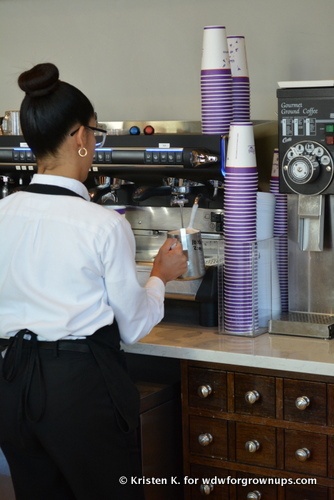 So pick up a pound of your favorite resort blend, order up a latte with character, and enjoy a sip of something special.